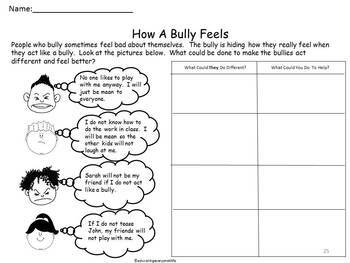 This is a free graphic organizer to use in your classroom to help children prevent bullying in school. This worksheet is included in my anti-bullying product titled: Students Against Bullying . Thank you for downloading this item. Feel free to click on the links below to view other products in my store. Copyright © educatingeveryone4life. All rights reserved by author. This product is to be used by the original downloader only. Copying for more than one teacher, classroom, department, school, or school system is prohibited. This product may not be distributed or displayed digitally for public view. Failure to comply is a copyright infringement and a violation of the Digital Millennium Copyright Act (DMCA). Clipart and elements found in this PDF are copyrighted and cannot be extracted and used outside of this file without permission or license. Intended for classroom and personal use ONLY. The Common Core Standards were written and developed by The National Governors Association Center for Best Practices and Council of Chief State School Officers. © Copyright 2010. National Governors Association Center for Best Practices and Council of Chief State School Officers. All rights reserved.